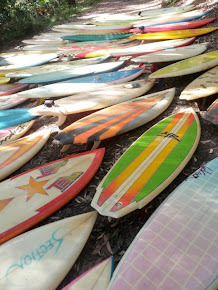 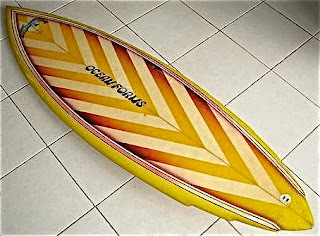 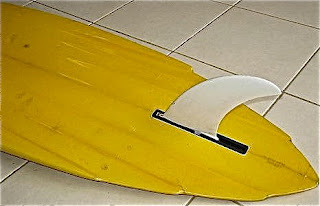 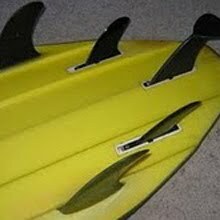 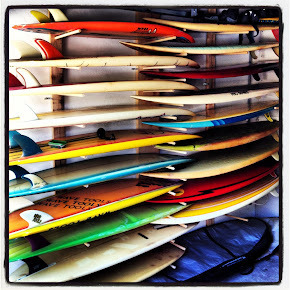 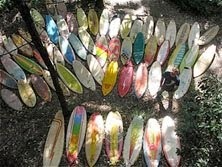 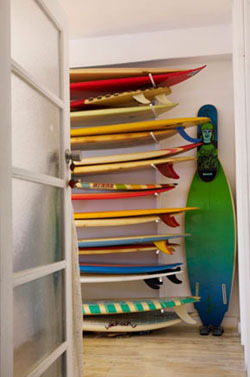 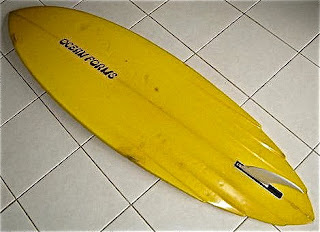 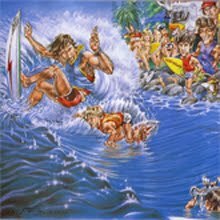 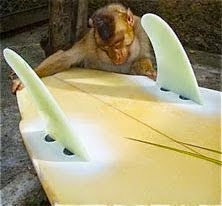 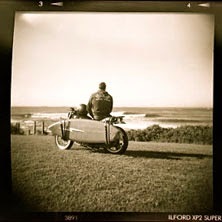 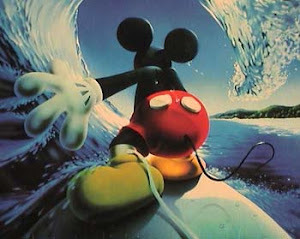 : Board Collector: Illawarra Part 1. 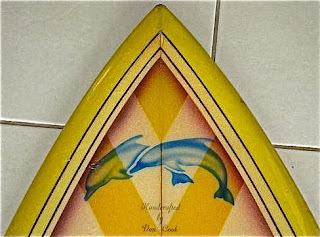 Marty Hunt put me on to this collector from Werri Beach south of Sydney who is selling off a beautiful collection of Australian innovation period designs. 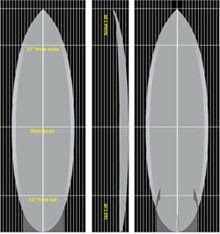 This OCEAN FORMS is 5'10" x 19 1/2" x 2 1/4" pin tail, triple flyer, clinker -channels- at the tail with a single fin in box and beautiful full spray design on deck. 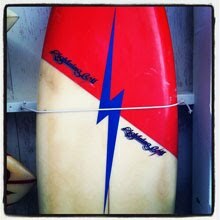 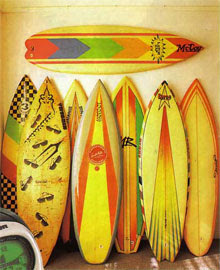 This board was made in the early 80s', handcrafted by Don Cook on the Gold Coast. 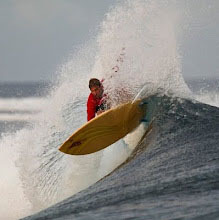 The channel bottom is reminicient of Col Smith 'Free Flight' single fins, the design that performed so well for Col at Pipline in the late 70's.